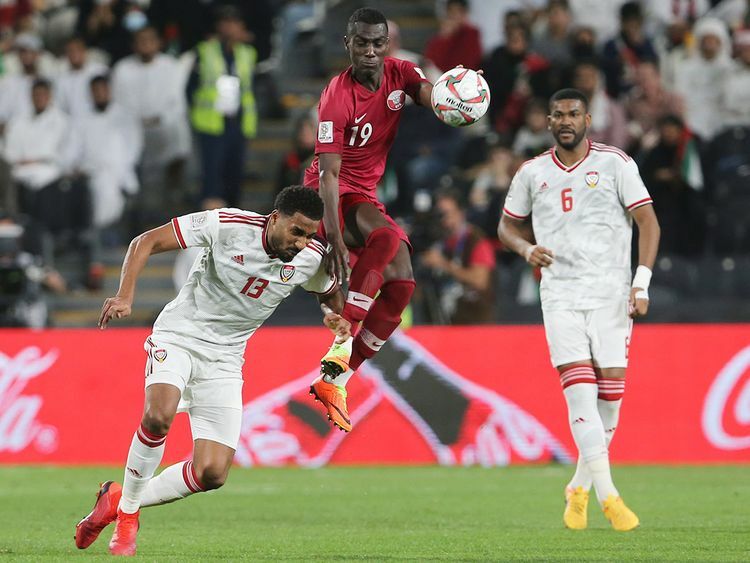 Abu Dhabi: The Asian Football Federation (AFC) has confirmed that the UAE Football Association has lodged a formal protest with them over the eligibility of two Qatar players — Almoez Ali and Bassam Al Rawi — who were part of the team that defeated the UAE in the Asian Cup semi-final. Qatar coach Felix Sanchez remained defiant about the developments and felt they are not concerned what’s happening around and the focus will be solely on the match. “We have just one game and we are only going to focus on that. Any other things is not related to the football point of view is not in our minds. This came after there were reports that the UAE FA alleged that Almoez, the leading scorer in the tournament, is a Sudan-born 22-year-old striker and defender Bassam Al Rawi is a Baghdad, Iraq, born 21-year-old and they both do not qualify to play for Qatar on residency grounds because they have not lived continuously in the Gulf state for the legal legibility of five years. Qatar beat the UAE 4-0 on Tuesday to book their place in Friday’s final against Japan. Ali played in the match, scoring the second goal at Mohamed Bin Zayed Stadium, while Al Rawi was suspended for the match. The UAE FA has claimed that they have documents proving Al Rawi’s mother was born in Baghdad and will submit its evidence to the AFC Disciplinary Committee on Thursday. But both Ali and Al Rawi refuted the claims.